The Calvary Chapel Chronicles: Seminary or Cemetery? A day or so ago, I received an email that demonstrated one of the biggest changes I’ve seen in the Calvary Chapel movement since I started writing about it. The email was advertising a new partnership between Western Seminary and the Calvary Global Network. That’s Western Seminary, not Western “Cemetery’…as Chuck Smith used to mock institutions of higher theological learning. Back in the day, training for a Calvary Chapel pastorate centered on listening to one of Chucks “through the Bible” tape sets and perhaps reading a couple of Smith’s books. It was who you knew, not what you knew that mattered if you wanted to be a CC pastor. There has always been an anti-intellectual influence in American evangelicalism and fundamentalism, created at the turn of the 20th century by the reaction to German liberalism and the advent of the theory of evolution. Calvary Chapel embraced that anti intellectualism and wore it as a merit badge…what mattered was that you were anointed…the Holy Spirit (and Chuck’s tapes) would enable you to teach. It worked at the time…the assumed authority of the pastors and the lack of theological education in the pews made it so. It also created hostility toward education and toward any “science” that seemingly contradicted “simply teaching the Bible simply “. Psychology, psychiatry, and any earth science that didn’t fit with a literal interpretation of Genesis were frequent whipping boys. People suffering from mental illness were simply willful sinners, a topic we’ll address at a later date. As I said, it worked at the time…but times changed. The internet brought different theologies and different traditions directly into peoples homes. Pastors were asked to defend their doctrines against challenges posed online…many were unable to answer those challenges. This often led to people asking those questions being labeled divisive or in rebellion. Those pastors unwilling to start educating themselves on the greater Christian world hardened their stances and majored on the “distinctives”…the doctrines that were distinctly Calvary and could hold the attention of the people. When the Rapture could happen today, why go to school? This led to further insulation from the Christian world at large and was, I believe, a factor in the Calvary Chapel split. Brian Brodersen was exposed to other traditions and writing outside the Orange Curtain…and celebrated the differences instead of demonizing them. The old guard fell back on old prejudices…and this become another charge against Brodersen. Things have changed in the last few years…some of the CC guys went back to school, some like Dave Rolph, now have earned doctorates. Our own pstrmike has two masters degrees and is working on his doctorate as we speak. Now, at least CGN is playing catch up with this partnership with Western. Pete Nelson and his Expositors Collective is helping the younger pastors learn to preach Christ centered sermons. Times are changing…for the better…on at least one side of the split. Great stuff Michael. I’m definitely one who was trained with Chuck tapes and a few books from the Great Awakening. 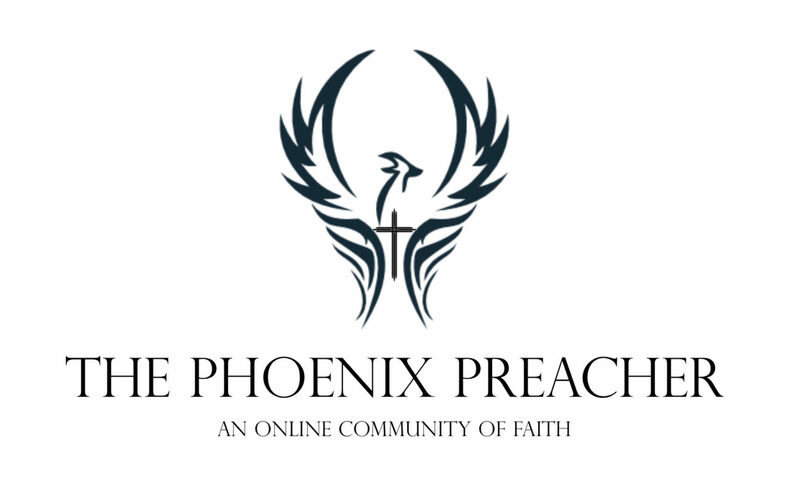 The internet, and this site, opened my eyes to a whole new theological world and ultimately moving away from Calvary and attending three different seminaries including Reformed and Lutheran institutions. Life is a funny journey. Man, this brief article hit so many nails on the head! As one who attend CCBC, and even had Brodersen for my Men’s Discipleship while there (which was almost 18 years ago, now), I’ve had a lot of time to think and grow, and I’ve come to many of these same conclusions. I can attest to the anti-intellectual messages that get handed down to new recruits, and how there was a huge reactionary swing toward the idea that “Simply teaching the scripture simply” ultimately came to mean the elevation of being an ignorant and uneducated simpleton; you know, like Jesus was (Wait, what?…). What it boils down to is that Pastor Chuck Smith wasn’t the brightest tool in the shed. Remember how shocked I was when you told me I had 15-20 minutes for the homily? Then I shocked to discover that you can put more in a 20 minute homily that’s well crafted than an hour that ..isn’t. I think he was smart and instinctive…in a lot of different areas. The partnership with Western Seminary and CGN is interesting. I remember Western had some type of partnership with Mars Hill Church before the implosion. My exposure to Western is that they are primarily Reformed Baptist. I wonder how well that will mesh with doctrines like eschatology and pneumatology? I think this will work well for guys in CGN, Western is a good school. Patrick Schreiner and Chuck Conniry at the PDX campus are good profs. I opted for the cross town rival school, more progressive both theologically and culturally and I had already attended a school that was Reformed. I don’t foresee having many opportunities within Calvary with my credentials, but I’m not ruling it out either. I’ve been honest with some possibilities that I have explored about not being convinced of a pretrib eschatology, and I think that still makes some people nervous. We’ll see what happens, its a big Church out there and the first thing I want to do after completing my dissertation is sit on a beach for a month. Expositors Collective is the best CC conference/training I’ve ever been to. The willful and celebrated animosity towards intellectualism drove me right out of CC church. It was like Galileo vs the Pope to challenge the official line on anything science. It never ceases to amaze me how different, in a few areas, my experience my experience with CC and even CCBC, was. This area being one of them. I’m not going to contest that what Michael writes about is accurate. I will offer up that it isn’t/wasn’t 100% across the board or systemic. I, personally, didn’t experience or receive the same amount or even the same kind of anti-intellectual that many other have. The version I got usually seemed tempered in such a way that it was anti “dead” intellectualism. In other words, seminaries were characterized as cemeteries only if/when there was no spiritual life or energy in them or being produced by them. I can’t quantify exactly what that means or looks like because it isn’t quantifiable as one thing. The message I often heard was that one need not go to seminary to be a pastor or Bible teacher. I rarely if ever heard anyone say that one should not go to seminary or pursue higher education. A lot of the guys I knew wanted to go on in school, but they simply couldn’t afford it on a pastor’s salary and taking care of a family. Instead they tried to be self-educated as much as they could be, pre-internet. Heck, I want to go back to school but I’m putting a kid through college already. Instead, I have a wealth of free and legitimate theological training available to me. I don’t need a piece of paper to prove that I learned or know it. Some churches want me to have that paper, but I for my own sake don’t need one. So I guess I’m saying Michael is right in the majority of cases. But it wasn’t as permeated as some make it out to be. I agree. What that “piece of paper” does is qualify you in such a way that demonstrates that your study has been tested, scrutinized, and at times challenged by your peers and people who know more about this than you do. It also demonstrates a willingness to be taught, and to have your studies overseen by others who’s job it is to give you a well rounded education and who taught not only facts and concepts, but also how to use that knowledge well. Being subjected to a rigorous curriculum, where you cannot take short cuts or skip over areas that you do not consider to be important is invaluable. You don’t need “higher education” to be a pastor, but I think it certainly helps. One of the reasons why I attended seminary is that there were too many unanswered questions, and quite frankly too much shallow teaching from Calvary Chapel pulpits that I was exposed to. Now of course there are some exceptions to that, Ken Ortize and Clark Van Wick are two that come to mind. The early hippy high church renegades of CC never quite understood how “friendship with the world is enmity with God” does not mean you can’t go to higher educational institutions. I remember the long journey I took to establish myself in a career was one met with a strange disdain and dismissal because I danced outside the fear based bubble of CC, a bubble stemming from what Michael noted began with German liberalism. I’m not here to give a history lesson, I’m just saying my encounters were steeped in a cultural isolation that looked at the modern educational model as Darwinian and Freudian, and thus ungodly and to be held in high suspicion. Anything less than being devoted to a fundamental embrace of scripture in its verse by verse form meant you were dancing in the grey zone. I have slowly watched over the years how the hillbillies have outgrown their own backyard and how they now seek respect earned by those who went the other way by pursuing an academic career without the benefit of a CC blessing. I find it laughable those without academic heritage now seek and probe ways to get into the club without having ever earned the requisites. I’m talking worship leaders who want to be seen as music professors and pastors who want to be seen as theologians and scholars set against the backdrop of men and women (I know… women) who are truly academics. CC is a system built by people who experienced an extraordinary outpouring of a sacred thing that reached the marginalized youth of its day. Of that I think there is little argument. But I remember well in the 80’s and 90’s the mocking, dismissive, arrogant, prideful stance in CC that they had somehow been a little more blessed than the rest BECAUSE of their refusal to play the seminary game, and to a smaller extent the college game. Somehow in their minds the lack of academic rigor had produce a pure kind of preaching in their view. And they had their own celebrities to back this up, some of them quite naturally gifted in oration. I find it mildly encouraging that Brodersen may have had a change in heart from his early years as a critic of science and behavioral sciences, but it will be a long time before real cultural change in the CC halls is enacted. In the past 10 years, as Chuck diminished until his fading from earth, I have seen a shift to find relevancy outside CC by men who once stood proudly in their special CC bubble thinking little of those who authenticated themselves through the route of higher education. This shift has occurred because they too aged and the time they have left is the sunset of their lives. As the CC leadership has eroded, the pews emptied, and the crowds thinned a search to find acceptance from peers has driven many who once spit out pablum on the useless and godless teachings of secular education now seek new sources of legitimacy. Personally, I worked hard to get my house in order. I resent the fact that they now want to come sit on the couch in a space I worked so hard to attain without ever having studied to show themselves approved. The dean and lead teaching pastor at both the CCBC satellite campuses I served at could neither spell or write a simple grammatically correct sentence. The smallest one in the SW quoted/ plagiarized practically whole lessons & sermons word for word from Smith, other CC pastors & approved authors. I became aware of this when tasked w grading papers and was upbraided for noting such errors in students’ work. Michael can request corroborating evidence. I do not wish to embarrass the men here in case they now like many others have gone on to get further education. Seriously confused, not making fun. In the soft sciences there are supervised hours under someone else with more letters behind their name than you – Psychology or Counseling, for instance. There is some evidence for a practioner’s skill in patient assessments, self reports, and review that would “rate” your effectiveness as a counselor. Teachers, also, have their feet put to the fire (a bit) by student assessments and administrative review (though when the state measures its employees effectiveness against their own standards it becomes a little shady, admittedly). Obviously the harder the science the greater the need for some kind of testable permanent product. It seems to me (very poorly read compared to the lot of you) that a doctorate in theology, if there is nothing quantifiable to measure, would lend itself to rewarding creativity, ingenuity, as opposed to any measure of how well one uses the theology they have studied to serve. Many (most?) plagiarize from Spurgeon, Guzik (odd putting those next to each other – though Guzik won’t mind), Weirsbe, MacArthur, McGee (big in CCA), Gill, etc, etc. I noticed it when I heard McGee’s commentary on 1 Corinthians in a decidedly Californian accent. They are reading other works which is good. It’s not quite as aimless as somebody up there ^^ said – but many will fail to realize that what they are doing is incredibly dishonest, and those who do realize it will probably not correct themselves but rather sever the limb (or useless appendage) who brought the accusation. They wouldn’t accept that from their children in school or university, but from the pulpit its okay. Some will correct their practice when they air their sermons on the radio. So I guess that’s a good thing. Then again, I guess we wouldn’t have most of the NT if Paul weren’t such a wonk. Disregard my comment from the peanut gallery. If you peruse this attachment from the Association of Theological Schools and scroll down to pg. 58. Below that, it lists the various theological (seminary) degrees. The ATS accredits seminaries. There are about 270 sems that belong to ATS. Bob to the rescue, again. Thanks! An Associates’ Degree is an AA (Associate of Arts) or AS (Associate of Science) is a two year undergraduate qualification. An M.Div. (sometimes a MA. Rel.) is a three year postgraduate professional qualification for clergy. At one time, Greek and a modern language (usually French or German) would be included. That has now been dropped by most seminaries. A D.Min. is a professional doctorate, similar to a lawyers’ JD (although the JD is closer in character to an M.Div.) It involves practical work that ends in a small dissertation on the topic underlying that work. A PhD (or in some cases, ThD) is a three to five year research degree. Three to five languages may be required. The end result is usually a book length dissertation of original research that is worthy of publication. The dissertation must be “defended” in the presence of internal and external examiners who are recognized experts in the chosen topic of the research. A DD (Doctor of Divinity) is usually an honorary award or, if earned, is based upon the life work and research of the individual. Additionally, there are Diplomas which, depending on what sort they may be, are undergraduate qualifications or a post-graduate qualification. All the above assume that the College, University or Seminary are accredited institutions. Good overall description by Duane. There are so many variations that are based on the particular institutions, and the different accrediting agencies. Many schools have more than one accreditation -and IMO, there are some good schools out there with what some would consider a less stringent accreditation endorsement, that is , the accrediting agency has less requirements, or the school has no accreditation at all. Some accredited schools are able to accept certain credits or degrees from non-accredited schools. It’s a bit complicated, but the system’s purpose is to attempt to bring credibility and hold certain standards in place. I did a considerable amount of research when selecting the school I attended. Most MDivs still require both Greek and Hebrew, all DMin programs require a MDiv or equivalency, which usually but not always means two MA degrees. For PhDs, it was about 50/50 as to whether they required a MDiv or if they would accept an MA. Most required two research languages, although some in the U.K. do not require language proficiencies beyond English. I did consider one of these course of studies, but the cost was out of reach. In regards to degrees, a PhD may also require taking a PhD qualifying exam as well as a defense of your research proposal prior to the original research and dissertation defense. At least this is how I remember it in the STEM fields. But once your get it Piled Higher and Deeper, they can call you Dr.
Indeed… In the UK, the final defense is still paramount. I knew people who went in thinking they were getting a PhD, but came out with an MPhil… Ouch! True. The final defense the climax of all those years. I took the money and ran after only more S*** level…., though my last roommate decided to get stick around to get it Piled Higher and Deeper. I just want to spell Duane…. Thank you for the clarification. It was very helpful! The irony is when certain elements disparage seminaries, academics, and scholarship, they tend ignore that the fact that most of the books of the New Testament were written by a scholar (Saul, later Paul of Tarsus). Interestingly the schools of Tarsus rivaled those of Athens and Alexandria and it was a center of learning in the ancient world. Paul himself probably spoke, read, and wrote at least 4 languages. Brian May’s case is especially impressive… went back to complete after almost three decades! Regarding the Calvary Chapel Bible College. The school has actively been pursuing accreditation (ABHE) and earlier in the year cleared the first major hurdle to reach the “Applicant” status – a deceptive title if one thinks in terms of the normal usage of “applicant” as just starting a process. They are on the way and I am hopeful and positive that they will secure full accreditation in the near future. I am a huge supporter of this effort and have a track record on this blog from my first posts 10 years ago of being very critical of the mindset against formal education (by some) within CC. Back to CCBC. By necessity the professors going forward must have at minimum their Masters degree. That alone is a big deal for the quality of the education. Tonight my Psalms class has its final meeting of the semester. This is the third time I have taught this class (offered every two years). In 2014 and 2016 I had about 36-38 students each year. This year I have 100. The fact that after the split certain Calvary Chapels “blackballed” the college (and stopped encouraging their church kids to go to California) to try to get at Brian did not help enrollment for awhile but those petty efforts failed miserably. Likewise, with accreditation the college will be able to visit high schools and let people know a) they exist and b) what they can experience at CCBC. In addition, significant financial aid and student loan opportunities become available that otherwise would not be to an unaccredited school. Readiness. Many of our pastor-teachers and alumni have pursued further education over the past few years, meaning that we now have more credentialed faculty members available to teach. Need. More and more students and parents have expressed a desire that CCBC become accredited. Reach. We want to reach a broad base of potential students, many of whom are not familiar with Calvary Chapel. An external measure of quality assurance will be helpful to these students and their families as they consider attending CCBC. Steve @ 10:19am, that is great news for CCBC. I would expect that the school will grow leaps and bounds once it attains accreditation and is noticed by folks outside the Calvary Chapel community. The campus is nice and very well located in a burgeoning area with few other colleges around. I think the only other Christian college alternatives in that area would be APU’s small extension campus or commuting all the way up to CBU. Glad to hear about the move toward accreditation. Yes true. Brian May was delayed doing some side musical gig for a number of years…. Good to hear that after over 20 years, CCBC finally becoming a real college. Great update, Steve. Must be driving some of the old guard quite bonkers. Suppose that means the end of any little CC starting a CCBC branche with just a complete set of CS tapes and a Strong’s Concordance. We see traces of the 1925 Scope’s Trial right up to today among fundamental evangelicals. I wonder if evangelicals will change in academia and if they do, could they be accepted…a lot of baggage and history here. Thanks for your thoughts!